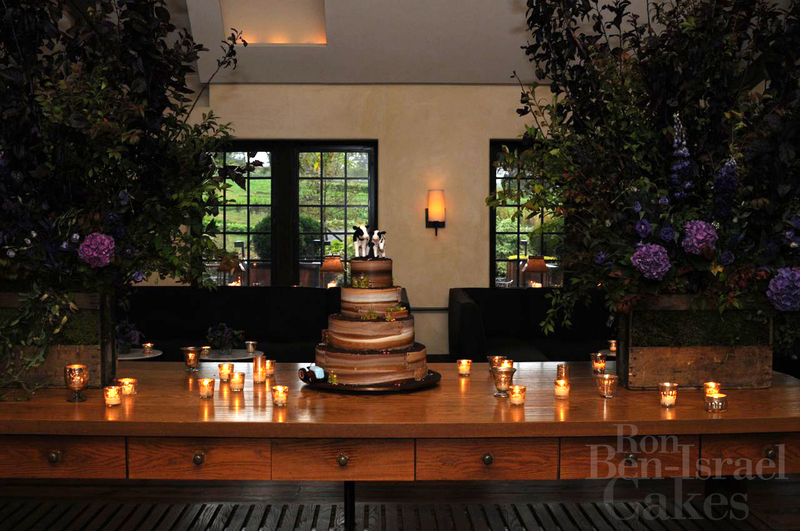 One of my favorite cakes of the fall season is the one we did for Tessa & John at Blue Hill at Stone Barns in Pocantico Hills, NY, about 50 minutes north of the city. 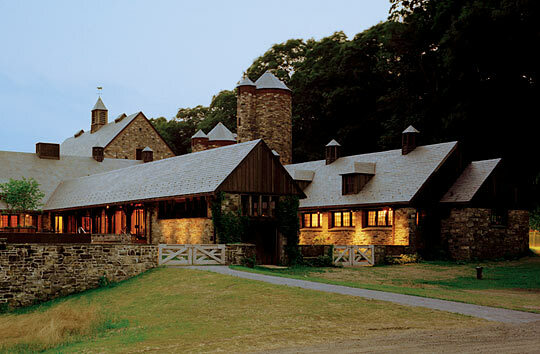 It’s a beautiful restaurant and farm and with a unique dining experience. There are no menus and they offer what has been bountiful in the garden and pasture. I have had the pleasure of dining at this restaurant and the farm to table cuisine is delicious. As for having a wedding there, the land, farm and restaurant are a beautiful landscape to celebrate in. 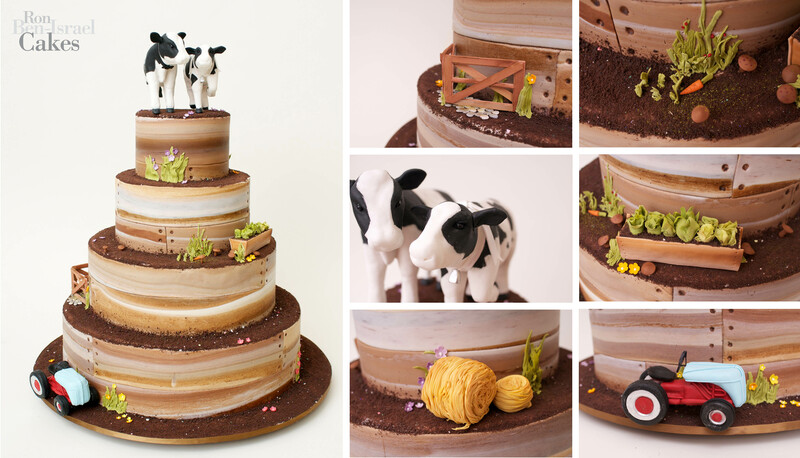 Rather than having a traditional wedding cake for this location, Tessa wanted to capture the uniqueness that is Stone Barns through vignettes on her wedding cake. We don’t normally do cake toppers, but made a special exception for this fun and unique wedding cake. This was a really fun cake for the staff. All of these vignettes represent things that can be found on the Blue Hill farm. If you are ever in the area, do stop by the farm for a visit. They have a lovely café for small bites, or if you have the time, make reservations for diner. You will not be disappointed. Tess & John's cake on location at Blue Hill. Gorgeous. They must have been thrilled right slap to death! Great cake! Love the tractor.